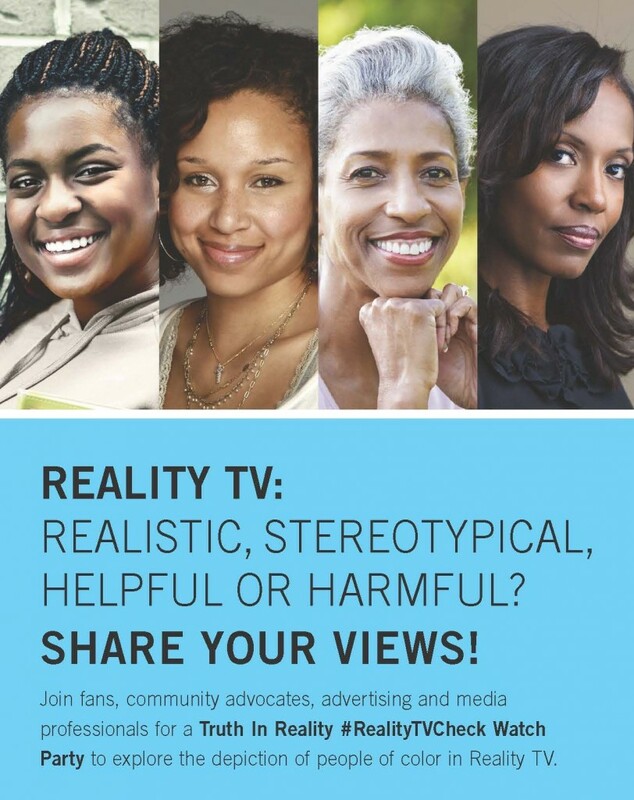 The Viva Women network hosted an event last week in Chicago, as part of a national series of conversations entitled “Reality TV Check.” The watch party event sparked dialogue about the portrayals of African American women in reality television. The Chicago conversation hosted over 100 communications professionals and featured a panel of African American women executives. To start, the audience viewed clips from various reality shows, including OWN’s Raising Whitley and VH1’s Love & Hip Hop, then voted on whether they thought the clips were realistic, stereotypical, helpful or harmful to the portrayal of the African Americans in media. The discussion that followed boiled over with various perspectives. As one male audience member pointed out, age, respectability politics and class are additional factors for consideration. Everyone brings their own personal moral code to their evaluation. One issue that hopefully gets raised at future discussions is historical context – the ultimate reason why there are those of us continuously fighting for positive portrayals of African Americans in media and advertising. At the dawn of film and mass media, there was a deliberate campaign by movies like D.W. Griffith’s The Birth of a Nation to project negative stereotypes about African Americans to wide audiences – some of which still persist. Trailblazing filmmaker Oscar Micheaux would emerge with his direct response to Griffith’s film, Within Our Gates (1920), to combat inauthentic portrayals of African Americans. This action begat the later rise of and need for multicultural communications firms, to make sure ethnic audiences were being marketed to in respectful and relevant ways. Perception matters, and images create perceptions, which creep into our consciousness and the way we relate to each other. The action of balanced representation is still needed. Diverse leadership at the table where decisions about what will be reflected in media are being made is of the utmost importance. It will be interesting to see what develops from the coming discussions in other cities. Follow the conversation on Twitter using #RealityTVCheck and share your thoughts with us at #exploreFCG. « Is My Natural Hair Professional Enough?